Extremely handy and versatile with a LARGE IMPRINT area. 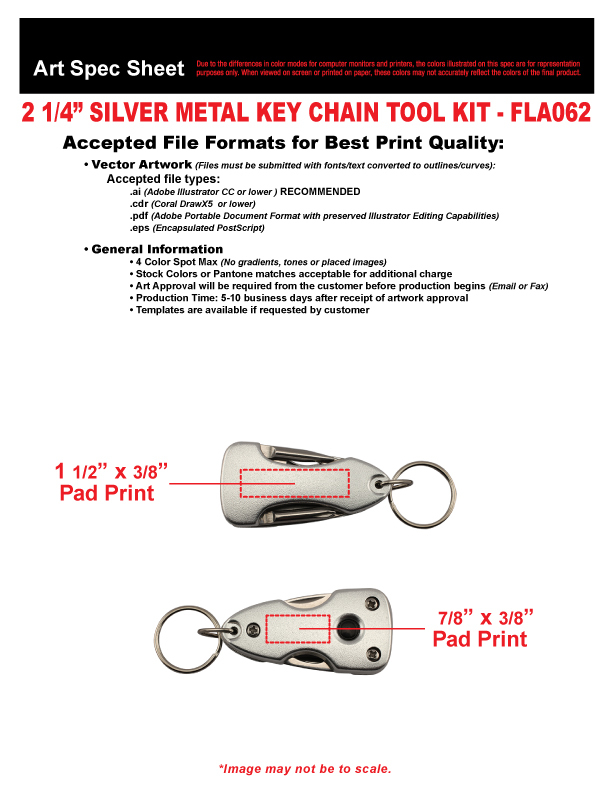 This Solid Metal Key Chain / Tool Kit has 6 different uses. A VERY BRIGHT flashlight, Flat Head Screwdriver, Phillips Screwdriver, Bottle Opener, Can Opener, Knife and of course a Key Chain. Two Large Imprint areas on either side. A promotional product that everyone will keep handy. 2 CR927 flashlight batteries are included and installed.